Save $10 with this SALE! Pick any three 5x7" framed 3D art pieces from my shop. 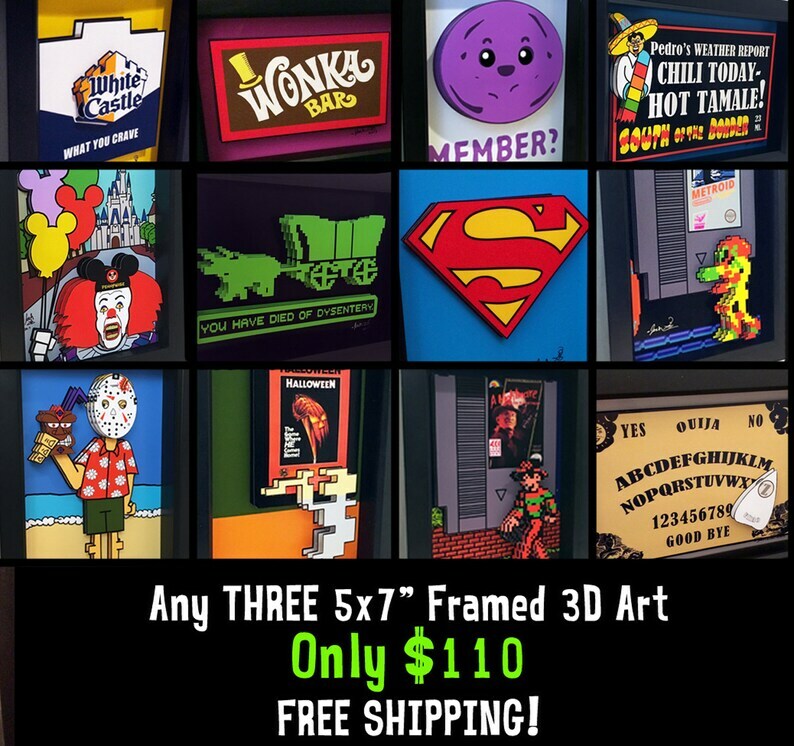 This includes any 5x7" piece I have listed, including retro video game art, bathroom decor, horror art and tons more! FREE SHIPPING is also included within the US. 5x7" pieces sell for $40 each so this is a savings of $10!!! Oh my gosh, I love them! They look even better in person! Thank you so much! These are so much fun and the artist has great ideas. They are even nicer in person. Appreciate all the details he puts into his work. I can't wait to get them on the wall and purchase more soon!